As a health care provider or a company that supplies medical services or equipment to patients or providers, you have the government’s attention. Whether you do everything possible to comply with your legal and ethical obligations as a health care provider or you devote less time than you should to your company’s Medicare compliance efforts, various federal agencies are keeping track of your billing, prescription, and patient treatment practices. From the Drug Enforcement Administration (DEA) to the Department of Health and Human Services (DHHS) Office of Inspector General (OIG), these agencies use data analysis and on-site “audits” to keep tabs on health care providers. And when these efforts uncover potential evidence of Medicare fraud, they act swiftly to conduct investigations that have the potential to lead to civil or criminal charges. Why are federal agencies so aggressively targeting health care providers and other businesses suspected of improperly billing Medicare? The answer to this question is simple: Medicare fraud costs the government billions of dollars every year. 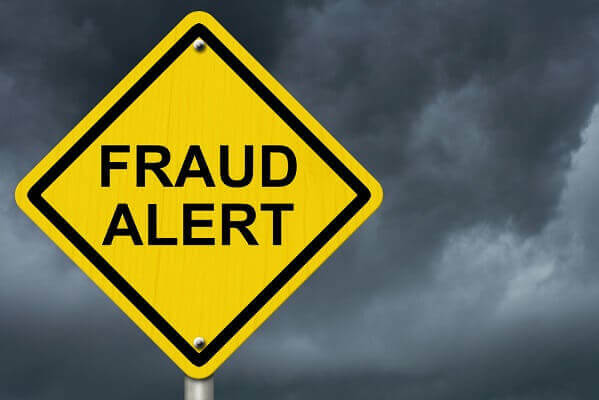 Even with the exorbitant cost of Medicare fraud enforcement, the government’s aggressive approach to combatting fraud continues to serve it favorably. Perhaps unsurprisingly, physicians’ practices are at the forefront of the government’s efforts to combat Medicare fraud. Patient-facing providers who bill Medicare are subject to a vast web of rules and regulations. And violations of these regulations – both intentional and unintentional – are likely to trigger swift Medicare fraud enforcement. Pharmacists are similarly situated to physicians when it comes to facing the risk of a Medicare fraud investigation. From billing for fraudulent prescriptions to diverting drugs to dependent individuals, various unlawful practices that have cast a spotlight on the pharmacy sector have enhanced all pharmacists’ exposure to the risk of a federal investigation. As compounding pharmacies have made a comeback in recent years, pharmacists who compound and dispense patient-specific medications have come under close federal scrutiny as well. Compound medications are subject to unique laws and regulations, and compounding pharmacists are increasingly finding themselves at the center of Medicare fraud investigations. Drug rehabilitation clinics have always faced close federal scrutiny. But with the Department of Justice (DOJ) publicly announcing its intent to focus on opioid abuse as a top law enforcement priority, these clinics are currently facing closer scrutiny than ever before. Clinics that treat large numbers of patients are particularly likely to be targeted in investigations – if for no other reason than the fact that their Medicare billings are “atypical” when compared to other clinics and providers. Similar to drug rehabilitation clinics, home health care providers serve a particular niche within the health care industry. This means that they are subject to special rules, regulations, and government oversight. From “fraudulent” physician certifications to non-reimbursable services and supplies, home health care providers can face a variety of allegations when they fall within the government’s enforcement crosshairs. Hospices are also particularly at risk due to the unique nature and requirements of their facilities and services. Hospice care is playing an increasingly important role in our society and health care system. Unfortunately, this also means that hospice care providers are facing additional scrutiny from the DEA, OIG, DOJ, Centers for Medicare and Medicaid Services (CMS), and other agencies. Operating a Medicare-compliant hospital is no small feat. From managing patient billing records to avoiding transactions with Stark Law and Anti-Kickback Statute implications, hospital administrators and executives must prioritize Medicare compliance. However, even this will often not be enough to ward off a federal law enforcement investigation. Cancer treatment centers and other specialty treatment centers can face a wide variety of allegations in Medicare fraud investigations. From billing for medically-unnecessary services (as determined by CMS) to offering or accepting illegal forms of “remuneration” from other providers, specialty treatment centers must be prepared to combat a broad range of dangerous allegations. Medicare fraud investigations targeting durable medical equipment (DME) companies and their executives typically center around improper payments under the Anti-Kickback Statute. This is the law that prohibits any transactions that result in the payment of “referral fees” using Medicare-reimbursed funds. However, it is not unusual for federal prosecutors to pursue other Medicare-related fraud charges against DME companies as well, and avoiding prosecution requires a comprehensive understanding of the theories behind the government’s investigation. Finally, testing laboratories can face Medicare fraud investigations on a variety of fronts. From allegations involving illegal kickbacks and referral fees to improper coding of testing services and supplies, testing laboratories and their personnel will often face numerous allegations with the potential for severe and long-term consequences. Regardless of the nature of your health care business or practice, if you are being targeted in a Medicare fraud investigation, you need to execute a strategic defense. This starts with hiring experienced defense counsel – specifically, an experienced health care law fraud defense attorney. Dr. Nick Oberheiden is a seasoned in the area of Medicare fraud defense, and he represents clients nationwide in high-stakes federal investigations. Have you been contacted by federal agents with CMS, DEA, DOJ, OIG or another health care or law enforcement agency? Are you concerned that you could be exposed in a Medicare fraud investigation? If so, we encourage you to contact us immediately for a free and confidential consultation. To speak with Dr. Oberheiden about your defense strategy, call (888) 356-4634 or request an appointment online now.